Earlier today Mountaineer Sports reported that Lincoln Riley blocked Austin Kendall from being able to play for WVU in 2019. A Big 12 rule allows for teams to block a graduate transfer within the conference and force them to sit out one year. Apparently he’s had a change of heart as there are reports that he has been granted the waiver and will be in Morgantown on campus tomorrow. As of hours ago it appeared that Riley was going to hold his ground and force Kendall to go somewhere not in the Big 12. Auburn was another team that was targeting Kendall. Whether it was getting hounded by the media or he just realized how absurd he was being, something forced him to change his mind. If this holds up and Kendall is on the Mountaineer roster in 2019 it gives West Virginia their second straight blue chip quarterback transfer. One who has watched two Heisman Trophy winners over the past two seasons. He will be eligible to play two seasons for West Virginia. WVU desperately needed to add a third quarterback Jack Allison and Trey Lowe as the only two on the entire roster. 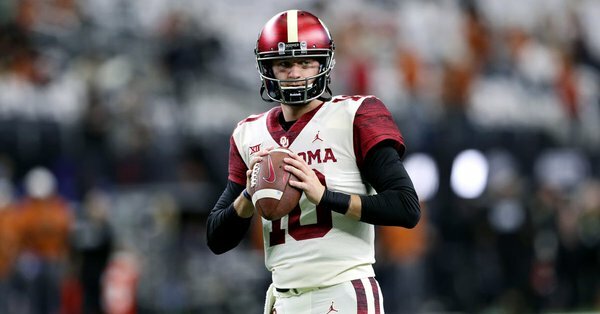 Not only did they add a quarterback, but they got one that has a great chance to step in and upgrade the position in a big way. The Mountaineers make a trip to Norman on October 19 this coming season and if Kendall is the starter that will be a big-time showdown.